Rated 5 out of 5 by strigoivii from What a handy feature! The USB Charger in this Duplex Outlet is such a simple idea and an extremely handy feature, all outlets should be like this now! No need to find my charger anymore, just plug the cable right in. I LOVE this!! This outlet was easy to install, it just took a few minutes. Just a few minutes to add so much convenience to my life? Yes, Please! Again, I love this feature and it needs to be an outlet standard! The Graphite color compliments the color decor of my house, it just blends right in. Rated 4 out of 5 by Marca from Huge Difference You never would think that adding something as simple as a USB into an outlet would make such a huge difference in my everyday life. Mostly everything today uses USB to charge, so being able to place my USB directly into the outlet without a plug just makes it easier. I know it's something simple but it just makes a huge difference. I can still plug in other appliances as well, which is great because I usually charge my phone in my kitchen using a USB cord and a plug. Now I can keep my things plugged in and charge my phone. The graphite color really brings something extra, it blends so well with my backsplash and gives a cool look to my kitchen. With only one hot screw and one white screw can another receptacle be hooked to it or does it have to be the last receptacle on the circuit? Thanks. I have an existing outlet with one socket controlled by a wall switch. Does this product work similarly to my existing outlet so that one socket could still be controlled by the existing wall switch? This outlet does not have a split circuit tab that would allow You to control one outlet with a switch and have the other outlet constantly hot. 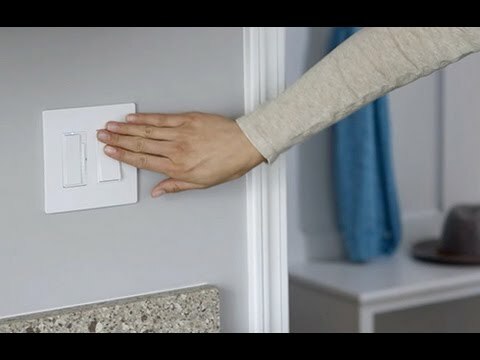 If You used a switch You would be switching the whole unit on and off. &nbsp;please tell me Which is the best USB Charger/Tamper-Resistant Duplex Outlet for Kitchen (outlet near sink)? and some product for the bathroom? Thank you for your question regarding Legrand USB CHARGER/15A TAMPER-RESISTANT DUPLEX OUTLET, GRAPHITE(Model # TM826USBGCCV4). 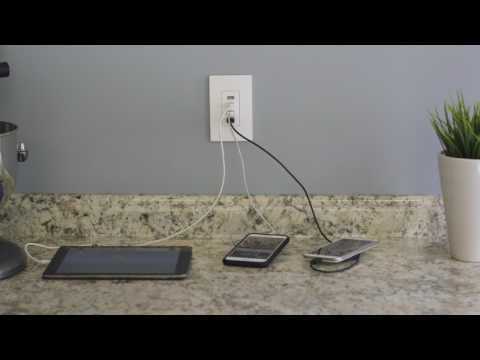 Our USB outlets can be used in kitchen/bathroom areas near a sink as long as they are either on a GFCI breaker or are installed downstream from an existing GFCI outlet for protection. Does this unit use electric when not in use, and how much? Thank you for your inquiry regarding our TM826USB outlet/USB combo device. This product uses about .25 mA of current when nothing is plugged in to the USB ports. With the unit being used for 120 V, the power consumed when nothing is plugged in is 0.03 W or about 30 mW, which is minimal. Hope this helps!